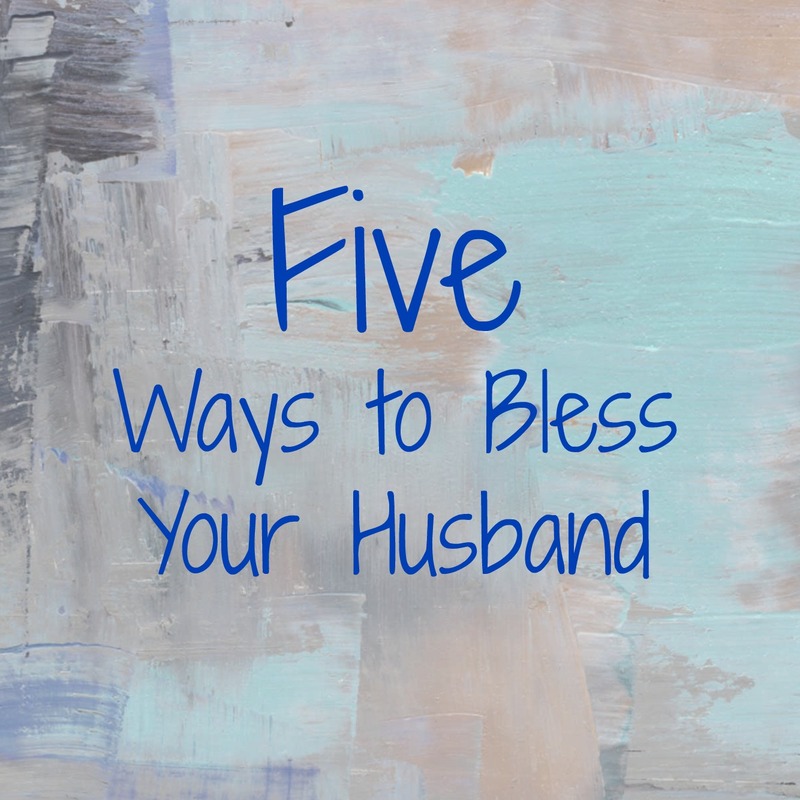 I love discovering ways to bless my husband! I love it when I can make him smile or make his heart happy. Here are 5 things I have been thinking about lately! 1. Need him. Find ways to let him know that he is indispensable to you. Ask him for help on a project. Tell him how much you adore him and how thankful you are for what he does for your family. 2. But don’t need him too much. In other words…don’t be needy. I challenged myself to go 3 days without asking him for anything. I have realized how lazy I am. I am ashamed to say that there have been a few times many times where I have asked him to do something for me that I was perfectly capable of doing myself. I just didn’t want to. 3. Try new things. Now I have very limited experience in the husband department, as I obviously only have one. But from what my husband has said and from what I have heard from others….our men love it if we are open to trying new things or just owning what we do. I have succumbed to so many lies about how I fail at pretty much everything. I have been scared to try things on my own. I have been learning to be confident and to just try things. Learning to learn is a skill…and so is learning to allow yourself to fail sometimes. 4. Make his day with something random. Surprise him with his favorite dessert. Kidnap him for a date. Give him a whole night to play Battlefield. Plan a movie night and go all out with themed decor. Send him a random text (like maybe one of these!) during the day. 5. Kiss him. Here are 10 kinds of kisses every marriage should have! I love following your blog, Bonnie! Hope you all are doing well! Thinking of you!